How much will it cost to do home energy audits in your region? Come find out the accurate costs, facts and get also a free quote from experts here! 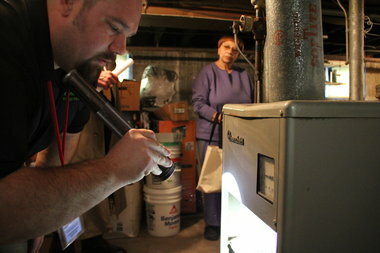 A good home energy audit will do a comprehensive room-by-room audit and create a conclusive report on the findings. The resulting recommendations will help you cut down on your utility bills by making your home more efficient and eco-friendly. The question is still, how much do the home energy assessments cost? How Much Will It Cost to Audit Home Energy? The cost to audit home energy efficiency will vary depending on the extent of the survey. General audits will take less than three hours and could cost as little as ￡77. However, despite the apparent straightforwardness of this service, it is almost impossible to give a precise, one-time estimate. Even though most homeowners will spend an average of ￡300, the actual cost to audit home energy will vary depending on the size and complexity of your home. You can expect to spend around ￡770 on bigger homes with more rooms and appliances - or older homes that might need special attention during the audit. 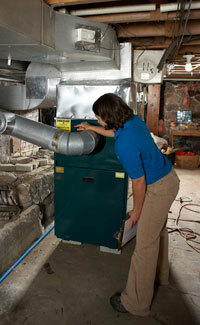 Home energy audits will not only lower your utility bills but also earn you some rebates. Some electricity providers will offer rebates to homes with high energy efficiency scores. This will help you cut down on your utility bills even further. An efficient home will also ensure that you don�t push your appliances to the limit. Your HVAC will work less hard, hence, it will need less maintenance and enjoy a longer lifespan � and so will your water heaters. Most importantly, you will get to boast of your contribution to a better eco-friendly earth. Is anyone home during work hours? What is your average thermostat setting for the winter and summer? Do you use all the rooms in the house? Are there any additional appliances or behaviors you think could affect your energy bill? Preparing for the audit will not only make the auditor�s work easier, hence not only lowering the overall cost to audit home energy, but also bolster the report�s efficiency. Get your utility bills ready too. The auditor will need these to not what to look at during the home energy audit. If you want to get a more accurate cost to audit home energy in your area, you can start now by entering your home zip code in the space provide on this page. You don�t have to sign any contracts or agreements to get the free quote, and did we mention it is 100% FREE? There are absolutely no obligations to make any purchases, hire, or sign contracts, so why not give it a try!